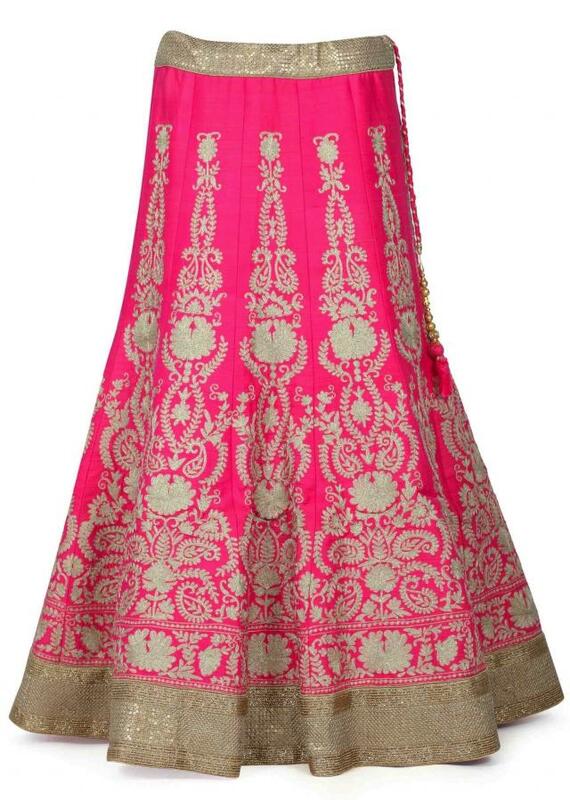 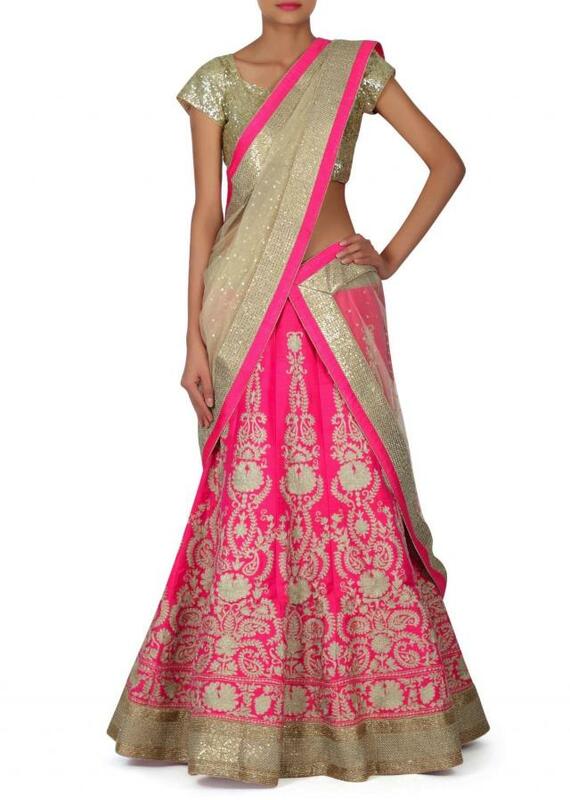 Rani pink lehenga featuring in silk. 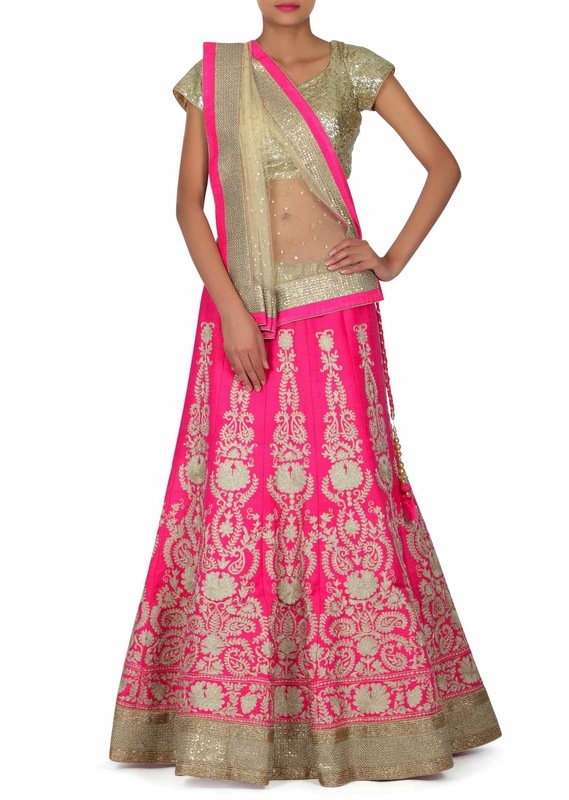 ITs embellished in aari embroidery all over. 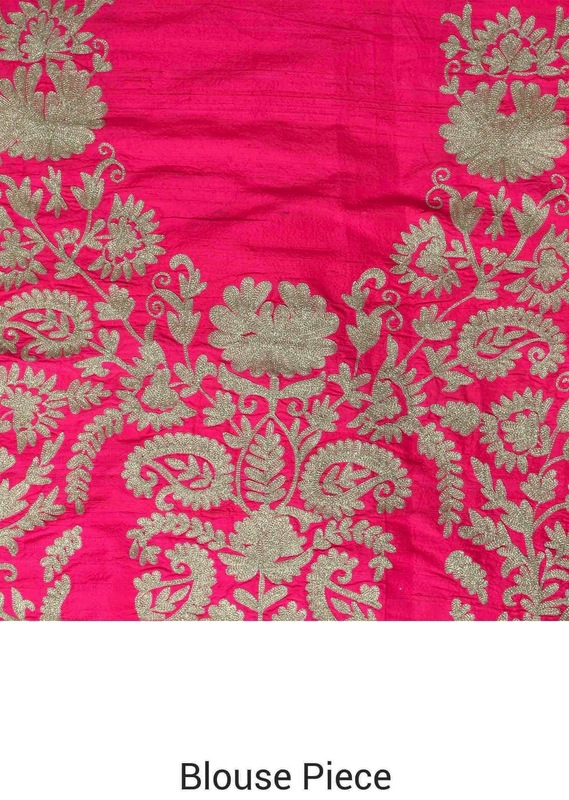 Matched with unstitched blouse in silk and beige net dupatta.